I am an experienced review writer, and have written reviews in many different styles, and across a range of platforms. These include reviews for books, films and video games. 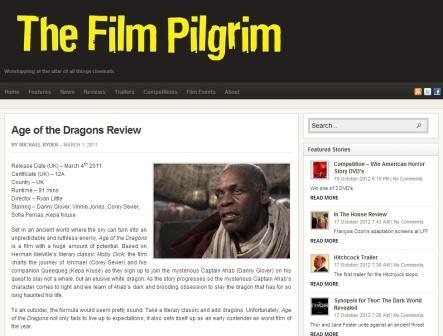 In 2011 I spent three months working freelance for The Film Pilgrim, during which time I attended numerous press screenings at locations across central London. I also reviewed DVDs and Blu-Rays. Nintendolife is the largest independent Nintendo fan-site in the UK, with many hundreds of thousands of hits per month. 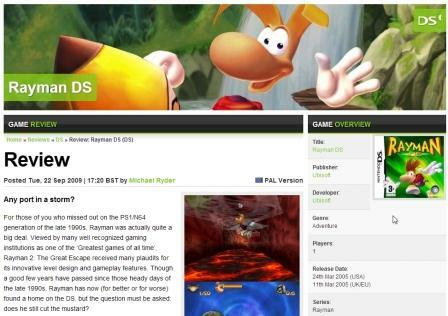 Among the reviews I have written for Nintendolife include Rayman DS, an all-time classic game ported to the Nintendo DS.